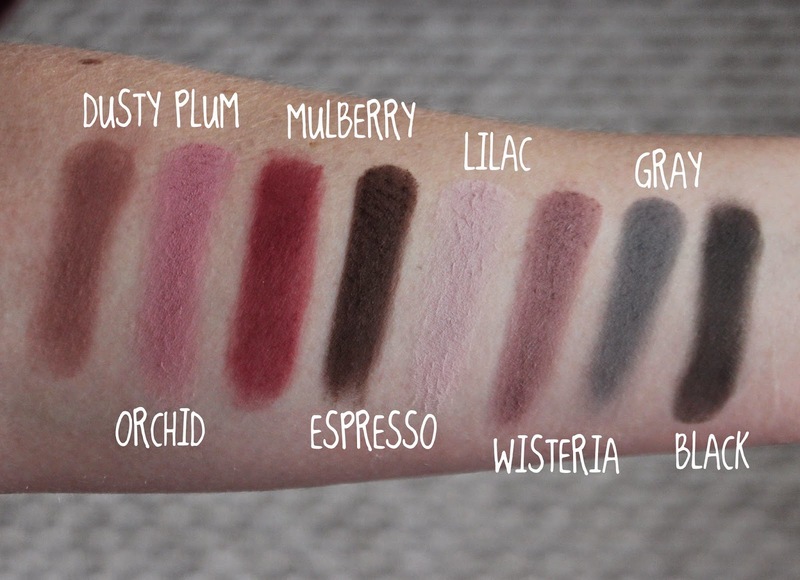 If you’re a regular reader of my blog, you’ll know I have a thing for eyeshadow. Which is a little humorous as 4 years a go I didn’t even own any eyeshadow! 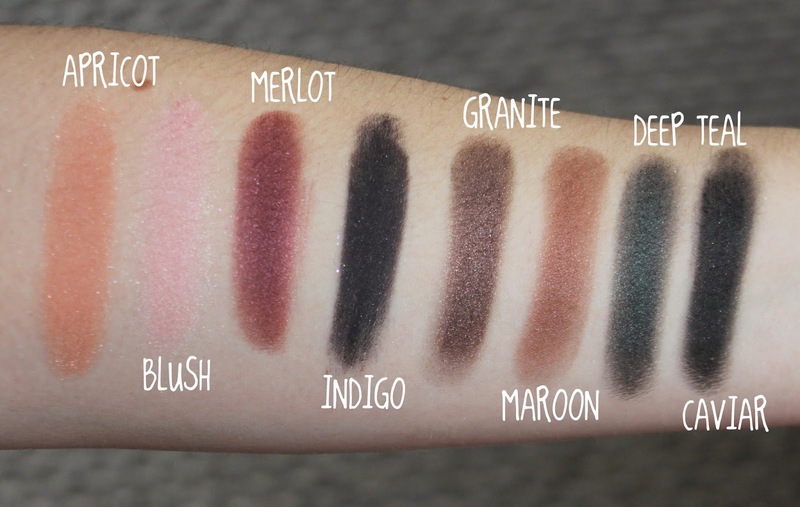 So, after having received the LORAC Pro Palette at the beginning of this year and fell head over heels with the mix of mattes and shimmers I couldn’t wait when I heard LORAC would be releasing a palette twice the size, in their Holiday Collection. 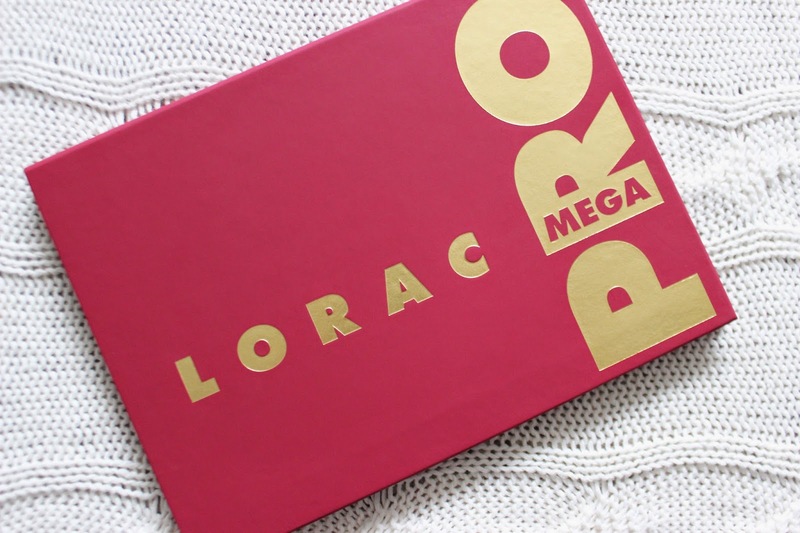 I was very lucky to get my hands on the LORAC Mega Pro Palette thanks to Jo a fellow beauty blogger from Little Pop Of Coral - thank you Jo! 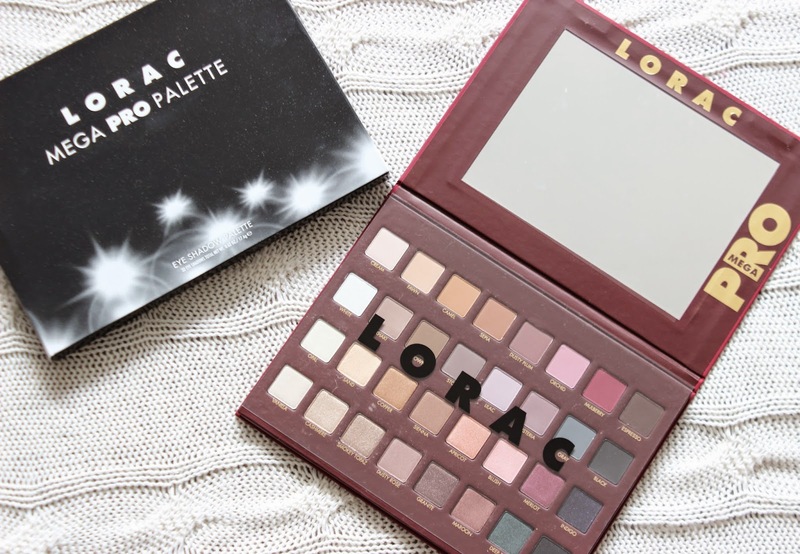 The palette has the same soft-touch slim packaging, but is twice the size of the original LORAC palettes and is encased in a rich burgundy coloured cardboard. The palette includes 32 shadows, 16 matte and 16 shimmer. 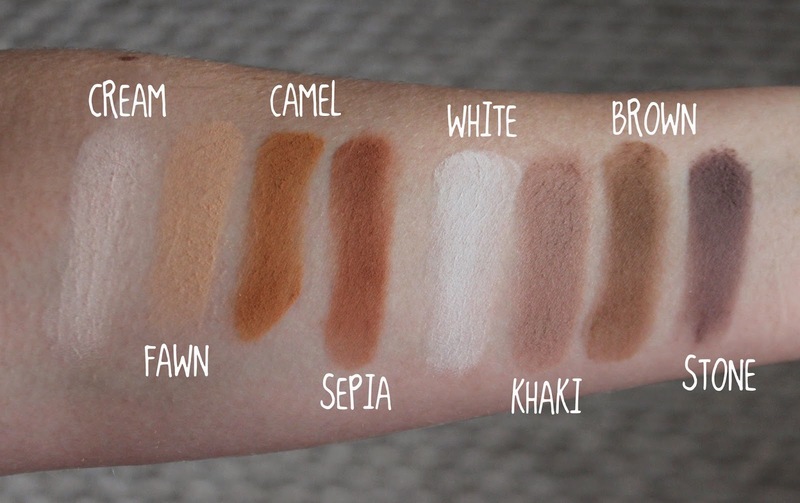 28 of the shades are exclusive to the palette and there are four repeat shades from the LORAC Pro Palette, ‘Black', ‘Espresso', ‘White' and ‘Cream'. The range of colours are beautiful. The palette has everything to create an everyday look, to something more glamorous. 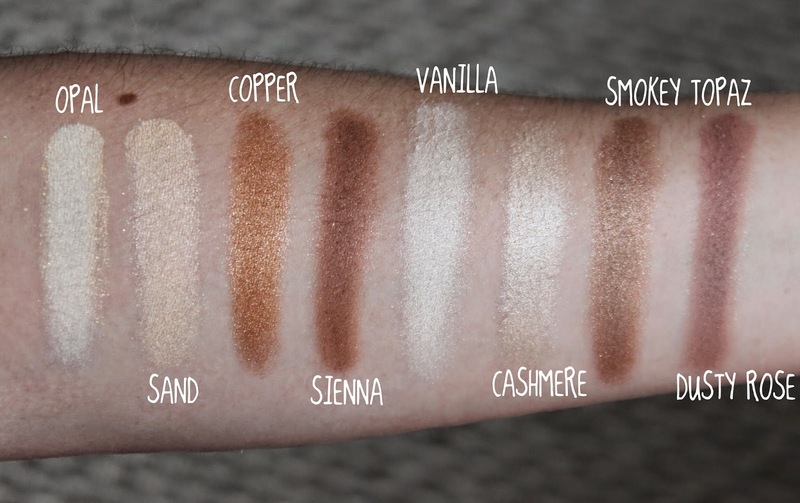 The majority of the shadows are warm toned, but there are also a few cool toned shadows. My favourite shade in the palette is ‘Opal', an iridescent white with gold and the stand out shade would be ‘Indigo', a deep blackcurrant/purple with glitter. A couple of the shades are dupable; ‘Sepia' is very similar to MAC’s Soft Brown and ‘Copper' is very similar to MAC’s Amber Lights. I have read that some find the shadows a little more chalky than the original LORAC Pro Palette, but I disagree and would say the formula of the Mega Pro is consistent to the original LORAC palette. The shadows have a creamy, powdery texture and the bendability is quite lovely. In terms of fallout you actually get more fallout onto the palette itself, so avoid rubbing your brush into the shade, pat your brush instead, then tap away any excess. If you weren’t already aware this palette sold out quickly and with confusion with launch dates, limited availability and broken palettes this palette has been a disappointment for many. But for me, this palette is close to perfection. I haven’t heard any rumours that they will be restocking this palette. But LORAC would be silly not to! With the post and packaging, I paid £50.93 which if restocked, I wouldn’t hesitate to pay that price again. If you didn’t manage to get your hands on this palette but wish you had, check out the LORAC Pro Palette. Did you manage to get your hands on this palette? What’s your go to eyeshadow palette?